USATT Lifetime Achievement Award, 2018. Here's the video - my acceptance starts at about 6:45. 1878 published articles in 163 different publications (not including blog entries), including 1657 on table tennis. All eleven of my books. Click covers for further info. In 2018 I was awarded the Lifetime Achievement Award by USA Table Tennis. In 2015 I was elected to the USATT Board of Directors. 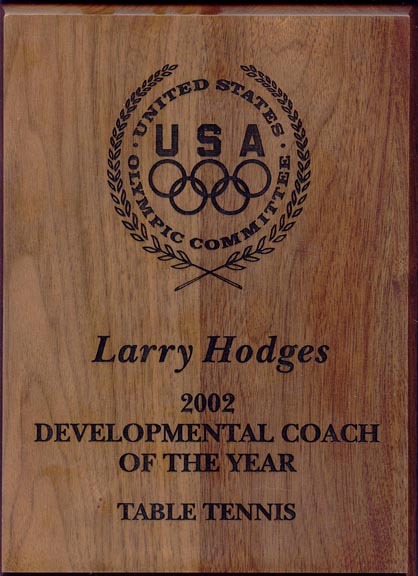 I was also chair of the USATT Coaching Committee from March, 2017 to March, 2019, as well as a four-year term in the 1990s. 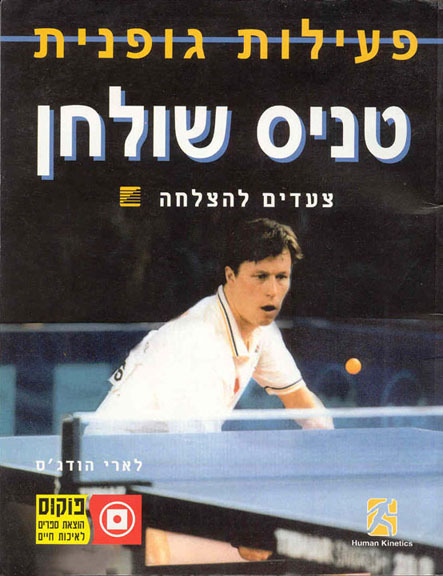 Check out my daily table tennis blog, which goes up every Monday by noon. 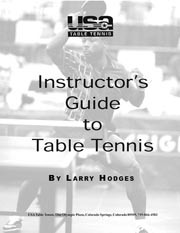 (From 2011-mid-2018 it was a daily, Mon-Fri.) TableTennisCoaching.com is now my main table tennis website - come visit. Often. The Daily Quarterly, a satirical website (similar to The Onion) did a hilarious "news story" on Oct. 16, 2011, about Brad Pitt starring as me in a film adaptation of my book, "Table Tennis Tales & Techniques." I blogged about this on Oct. 17 and Oct. 18. Many people believed it to be true, including the part where I was paid $3.5 million for the film rights. Here's Part 1, and here's Part 2. 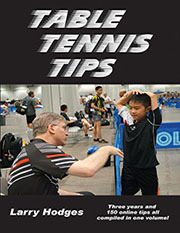 See the ITTF News Item on the ITTF Coaching Seminar I ran at the Maryland Table Tennis Center in April, 2011. They even ran my picture! It's also featured in the May/June USATT Magazine, along with my article "Changing Bad Technique." (The Cary Cup Open coverage has an extensive passage about my winning the hardbat event, though I was mostly there to coach. There's also an ad for MDTTC training camps, so I'm all over this issue.) I expect to run another circa April, 2011. If interested, email me. 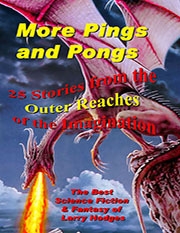 I'm a table tennis player/coach/writer/organizer, but I'm also a science fiction & fantasy writer. 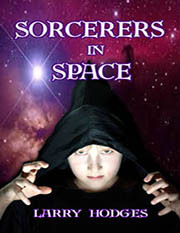 My science fiction & fantasy page can be found here. The International Table Tennis Federation recently named the first two ITTF certified coaches in the U.S. - and I'm one of them! (The other is Donn Olsen.) See the article on their home page. I was also named one of the initial 11 ITTF Course Conductors - see article - which qualified me to teach and certify ITTF coaches in the U.S. I'll probably run a coaching seminar for other USA coaches in Spring, 2011. 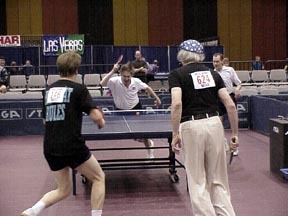 From Sept. 4-12, 2010, I was at the International Table Tennis Association Coaching Seminar in Colorado Springs along with many of the top USA coaches. It's the first time the ITTF has run such a seminar in the U.S. I'm now certified as an ITTF Course Conductor. See article. I was featured on tabletennis.com. The Washington Post did a feature article and video on the elite junior training at Club JOOLA when I was coaching there. I'm interviewed several times. The video is about 2 min 30 sec. Also featured on the video are Marcus Jackson, Amaresh Sahu, Peter Li, and Tong Tong Gong, all ranked at or near the top of their age group in the U.S. 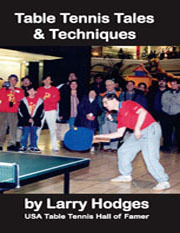 In 2009, my third table tennis book came out, "Table Tennis Tales & Techniques." It's a compilation of my best work over the past 30 years, including lots of interesting (and humorous) stories and many coaching articles. It's packed with photos. Read the review by Tim Boggan! I recently finalized my science fiction novel, "Campaign 2100: Rise of the Moderates." 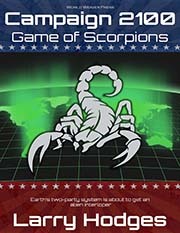 (It covers the election for president of Earth in the year 2100, and features a third-party moderate challenge. 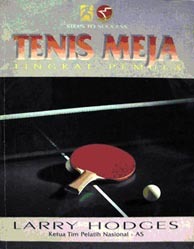 One of the four main characters is a table tennis player, and there are three table tennis scenes.) It's 117,000 words, or 596 pages double spaced. I also write science fiction and fantasy short stories - I've sold 67, plus 33 resales, and 15 "Twitter" stories (140 characters or less, about 25 words). 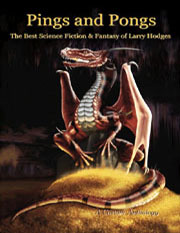 See my Fantasy & Science Fiction Page. Above: The Table Tennis Book Signing at the USA Nationals on Dec. 17, 2009. L-R: Richard McAfee, Dan Seemiller, Donn Olsen, Larry Hodges, Scott Preiss, Tim Boggan. 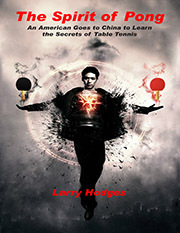 My article "The Table Tennis Fantasy Tour" is up at Fantasy Magazine! Feel free to comment. I was interviewed online by Community Fridays. The interviewer, Emma Larkins, asked for the interview after one of the panels I was on at the Capclave SF Convention. 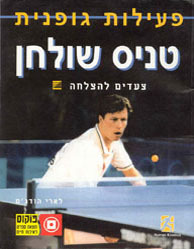 As the editor of USA Table Tennis Magazine, I did 71 issues, through the March/April 2007 issue. (USA Table Tennis has gone through a lot of editors over the years.) Here's the USATT news item on my resigning as editor for twelve years of USA Table Tennis Magazine after the March/April 2007 issue. I'm also the founder of the USA Table Tennis League. I now have 1878 published articles in 163 different publications, including 1657 on table tennis. The first was in 1977. Many of these articles are linked online. 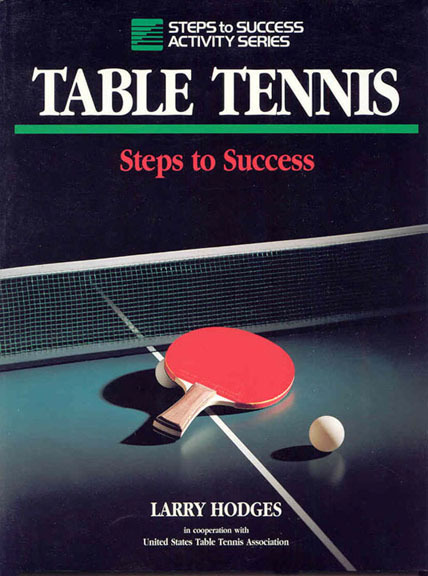 You might have read my book, Table Tennis: Steps to Success. Over 30,000 copies have been sold. It has been translated into Chinese, Korean, Indonesian, Malaysian and Hebrew, and there are more translations planned. I did an update in 2007 for a reprint. See info page for ordering English version. 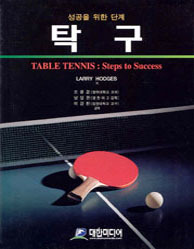 My first book was Instructor's Guide to Table Tennis, the official coaching manual for USA Table Tennis. I have a Master's degree in Journalism, and a Bachelor's degree in Math, with concentrations in computer science and chemistry (all from University of Maryland). 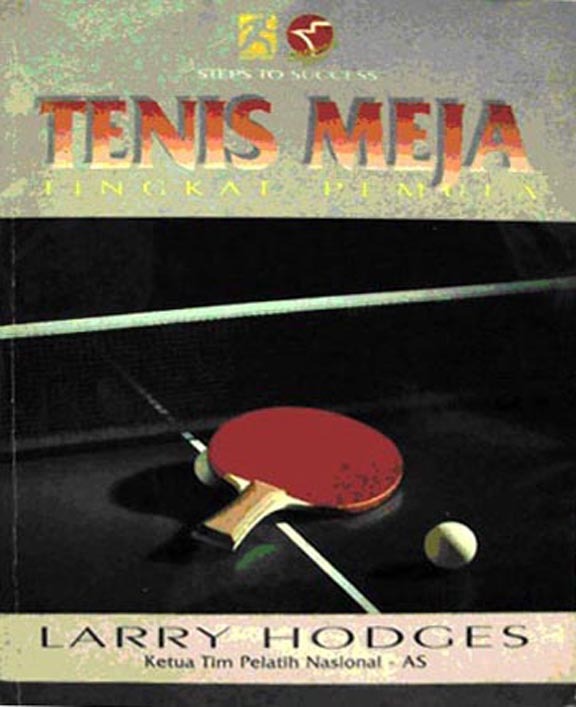 I'm a member of the following organizations: USA Table Tennis, USA Table Tennis Hall of Fame, Maryland Table Tennis Center, Classic Table Tennis Association, Science Fiction Writers of America, The Writers Center, Critters, U.S. Tennis Association, Quince Orchard Tennis Club, and American Mensa. In October of 2004 I created a Celebrities Playing Table Tennis page - just what this world needs! Hundreds of photos of celebrities playing our favorite sport! It's been averaging 15,000 (that's not a misprint!) downloads per day! Many "celebrity" web pages and blogs discovered it and linked to it. 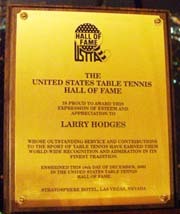 In December, 2003, I was inducted into the USATT Hall of Fame. (I'd missed it by one vote the previous two years.) Here's the notice of my induction, the profile of me by Tim Boggan, and the online video of my induction - go to minute 9, then 13:50). I was inducted as a "contributor." (I'm the youngest person every inducted as a contributor.) Two players were also inducted - Eric Boggan and David Zhuang, and Marty Reisman received the lifetime achievement award. 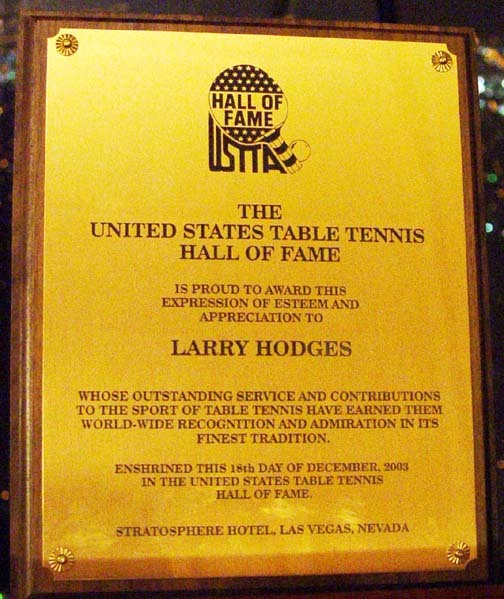 USATT has been around since 1933, and there are currently 109 members of the Hall of Fame. 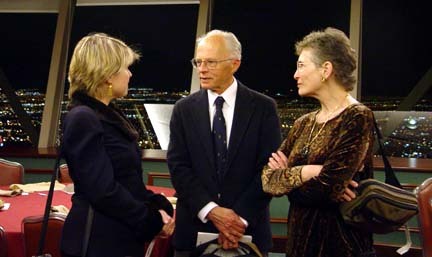 Here's a picture of me with my parents at the induction ceremonies, and one of my parents talking with USATT president Sheri Pittman. 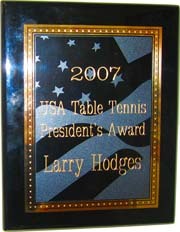 I was the 2002 USA Table Tennis Developmental Coach of the Year. After being nominated three times in past years but never winning, it was a pleasant surprise. 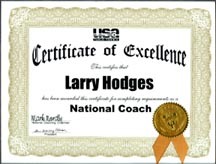 I'm a USATT Certified National Coach, the highest level of certification. I was an editor for a magazine that covered quality in industry ("The Quality Observer," 8 issues, a color glossy), and a computer programmer for one year before coming back to table tennis. 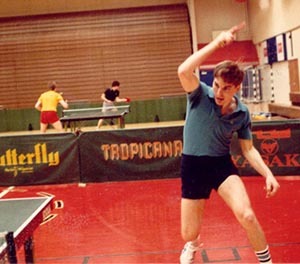 From 1991 until 1998, I was the director and a regular (sometimes full-time) coach at the Maryland Table Tennis Center in Gaithersburg, Maryland, USA. (I only coach there part-time now, plus some organizational work.) Go there to find info on training camps and tournaments, most of which I help out on. MDTTC players dominated the Junior Olympics and Junior Nationals from 1991 to 2003, winning over half the gold medals and the most total medals for 13 straight years, but the last two years many of our players have spent the summer training in China or other places, so few have gone. We expect to be back at full force at the 2006 Junior Olympics/Junior Nationals, when they are held in Norfolk, VA, which is driving distance for a change. I was the director of the USATT League which I founded in September, 2003. As of Sept. 1, 2009, over 9281 players had played 160,011 league matches in 268 leagues in 47 states and DC. Here's a listing of U.S. Hardbat Champions - I've won 18 U.S. national titles at the U.S. Open and Nationals (15 in hardbat, but I normally use sponge). Check out the U.S. Open and Nationals Doubles listings! However, my main task at the Open and Nationals is online and magazine coverage. I'm semi-retired from tournaments now. My Complete Published Works - 13 books and 1878 published articles in 163 different publications, many of them linked online. 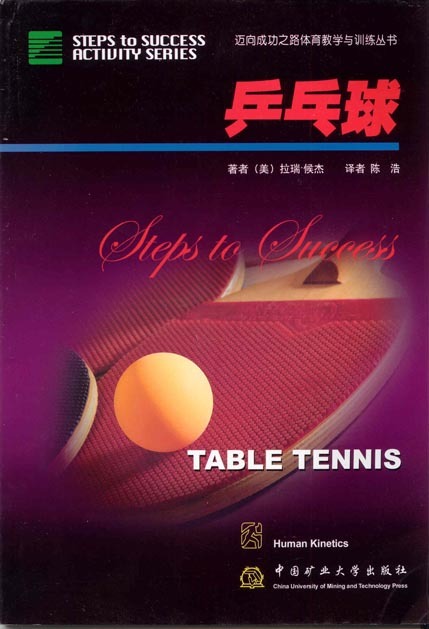 TableTennisCoaching.com, your worldwide center for (duh) Table Tennis Coaching! My Celebrities Playing Table Tennis Page - 1407 photos of 819 celebrities. This page gets about 15,000 downloads per day! I generally update it around the first of each month. 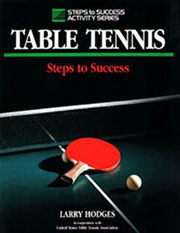 TimBogganTableTennis.com, where you can find Tim's History of USA Table Tennis books. My Political Cartoons Page - I created all of these. Can you tell what I think of the Bush administration? 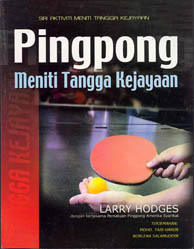 My Table Tennis Book Collection - over 250 books! I only actively collect books in English. My Table Tennis Clip Art Collection - You may use any of these. My Science Fiction/Fantasy Page - I've sold 81 SF&F stories; some of the best are online. My name was on the cover of 14 magazines, and several were "Feature" stories. Left: Coaching the Maryland Team at the 2000 Junior Olympics/Junior Nationals in Orlando, Florida. For 13 consecutive years (1991-2003), we won over half the gold medals and more total medals than any other state. I have a long history of using weird objects as a racket, from a clipboard to just about anything else. It's just for fun, but yes, I once did beat someone with an ice cube as a racket. I also beat a news reporter using his running mini-tape recorder as a racket, giving taped commentary throughout! Here's how I got started - blame it on Marty Reisman! I also do local exhibitions. See my "cartoon" on the last presidential election! Can you name all ten people? A now ... my "table tennis resume." 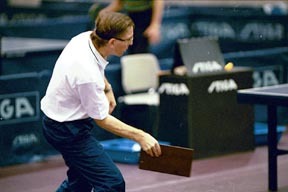 Right: Coaching Todd Sweeris at the 1996 U.S. Olympic Trials. He made the team. 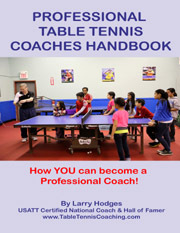 Head coach at TableTennisCoaching.com, where I do a daily table tennis blog. Here's the video of my two-hour seminar coaches meeting at the 2009 USA Nationals on setting up & running junior programs. 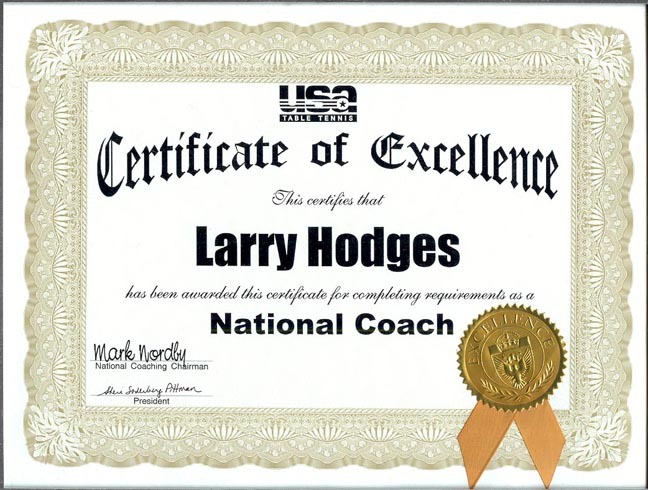 Certified by ITTF as a coach in 2010, one of the initial two USA coaches to qualify. 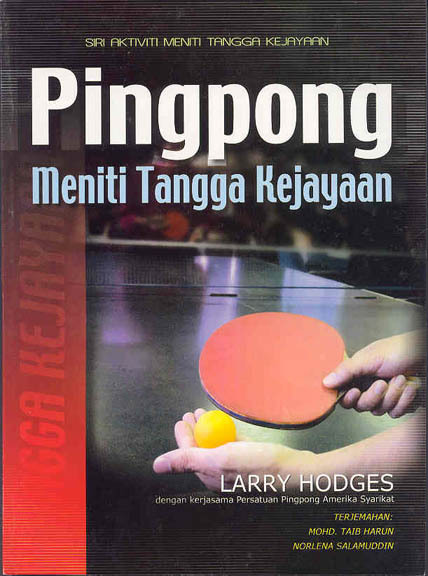 Certified by ITTF as a Level 2 Coach in Sept., 2013. 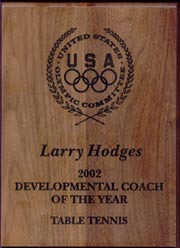 Head Coach, Maryland Junior Olympic Team, 1992-2004. Since 1991, Maryland juniors have won more gold medals than all 49 other states combined, and from 1991 to 2003 won over half the golds and more total medals than any other state every year, 13 straight years. Right: Director/Assistant Coach, Olympic Training Center, Resident Table Tennis Program, 1989. That's me on the far left. 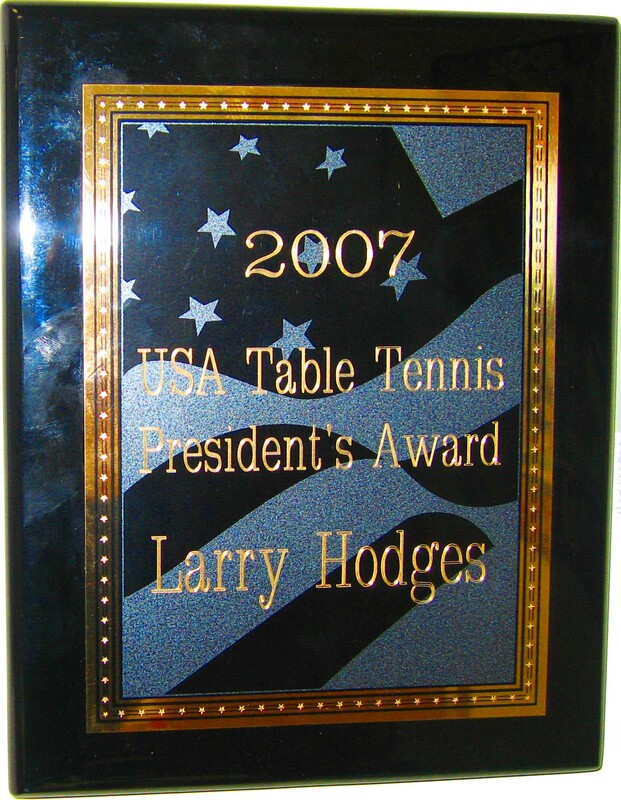 Founder & Director, USATT League, Sept. 1, 2003 (its debut) to Feb. 2007. Founder of the U.S. Classic Hard Bat Association. Did all media work for USATT at the 2003 U.S. Open. Ten newspaper articles, and coverage by five TV stations. After years of promotion, Maryland now has more USATT members as a percentage of population than any other state in the U.S.
Editor, USATT Magazine, 71 issues, Nov., 1991 to Dec., 1995, and July, 1999 to Feb. 2007. Circulation is around 8000. Advertising increased from $2300/issue when I was first hired to over $14,000/issue, with over $15,000 in my last issue. 1861 published articles in 162 publications, including 1642 on table tennis. Author of Table Tennis: Steps to Success, Human Kinetics Publishers, 1993. Over 28,000 copies sold. It's been translated into Chinese, Korean, Indonesian, Malaysian, and Hebrew. Editor or Co-Editor of the Programs for the 1991, 2001-2006 U.S. Opens, the 2000-2006 U.S. Nationals, the 1993 Junior Nationals, the 2001 U.S. Team Trials, the 2000 Enron Millennium Friendship Tour, and the 2003 & 2004 North American Teams. 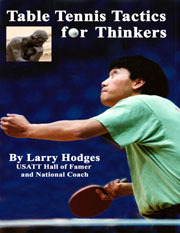 Author of 171 weekly Table Tennis Tips at the USATT Home Page as "Dr. Ping Pong." Assisted in the production of History of U.S. Table Tennis, by Tim Boggan, Volumes I-XI, by doing the page layouts and photo work. 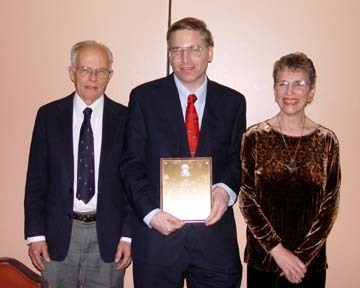 Author of most news items at the USATT home page at www.usatt.org (from Dec. 1999 to Dec. 2005). Below is a more complete listing of titles. Hardbat (National titles in bold) For more info on hardbat table tennis, go to www.hardbat.com. I'm now semi-retired from tournaments, due to age, recurring injuries, lack of practice, and a recent tendency to play really, really bad. Here's the video of the final against Adoni Maropis - yes, the actor who played the evil Fayed in "24"! I won 21-15, 21-15, but he's a very good player. 2003 U.S. National Over 40 Hardbat Singles Champion. 2003 U.S. National Hardbat Doubles Champion (with Steve Berger). 2002 U.S. Open Hardbat Doubles Champion (with Steve Berger). Master's degree, Journalism, University of Maryland, August 1997, with focus on science writing and government. Bachelor's degree, Mathematics, University of Maryland, 1986; concentrations in computer science and chemistry. Winner of the 2007 Space Westerns Limerick Contest! Former Software Engineer for RDI. Specialized in SQL, Oracle Forms & Reports (D2K), and Visual Basic. Also experienced in HTML, Pascal and Fortran. Experienced desktop publisher with complete desktop publishing system. 58 years old, and getting older every single gosh-darn year on Feb. 27. University of Maryland arm wrestling champion, Under 170 pound weight class, 1983. 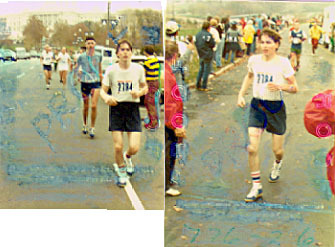 Completed the 1977 Marine Corps Marathon, and lettered in track as a miler in high school. I recently discovered that, with a little help from me, Dilbert did a cartoon on me!